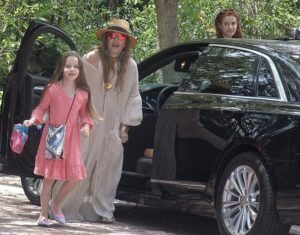 Lisa Marie Presley is appearing in court Tuesday morning to battle her estranged husband for custody of their children. 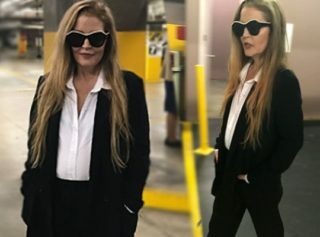 Presley showed up to the Los Angeles courthouse wearing a black suit, dark sunglasses and looked upset. Her estranged husband, Michael Lockwood, also showed up as he prepares to fight for custody. The courtroom has been closed off from everyone except the two parties, as we’re told Presley will most likely take the stand and the judge is trying to keep matters private, for the sake of the children. Lisa Marie has been seeking primary custody of her two daughters, Harper Vivienne Ann and Finley Aaron Love, who she had with Lockwood. The girls were previously under protective custody as part of a dependency court order. That order has since expired and she has been making the push to win back custody ever since. Lisa won a major victory in the ongoing divorce back in February when Lockwood’s request for spousal support in the amount of $40,000 each month was denied by the judge. Lockwood ordered Lisa to hand over a monthly payment of $10,000 for five months to cover her estranged spouse’s legal fees, which the court ruled would be the only expense the heir to Elvis’ vast fortune was required to pay. How Much is Lisa Marie Worth ? ?